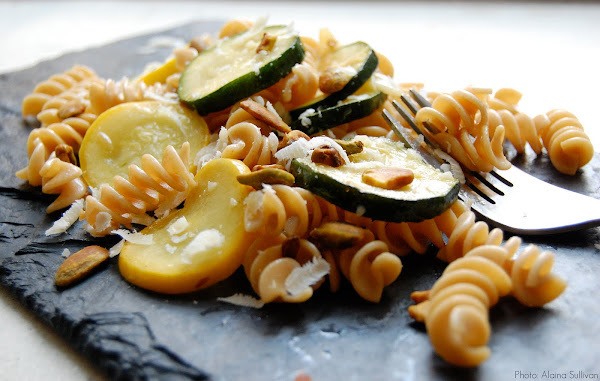 Summer produce meets fall comfort: fusilli pasta tossed with coins of garlicky zucchini and crowned with toasted pistachios, fresh Parmesan and plenty of black pepper. A flavorful trip for the tastebuds that's rooted in simplicity, it's the perfect segue to autumn. 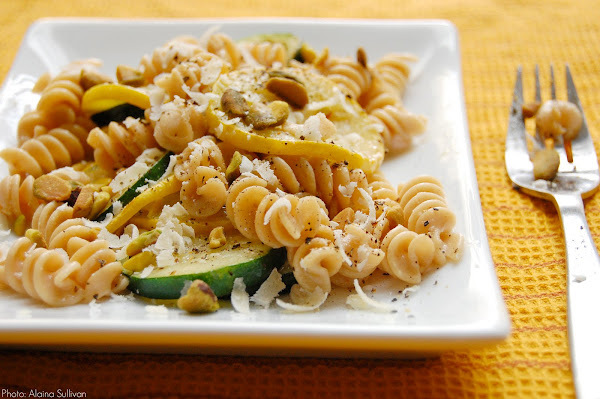 Click here to read the full post and recipe on Mark Bittman's website. I made this tonight for dinner. Pistachio and Parmesan go really well together - I had no idea. Great recipe. I love your blog.